Enjoy a memorable holiday in this apartment which lies within Marine Parade’s exclusive ‘golden triangle’ zone. 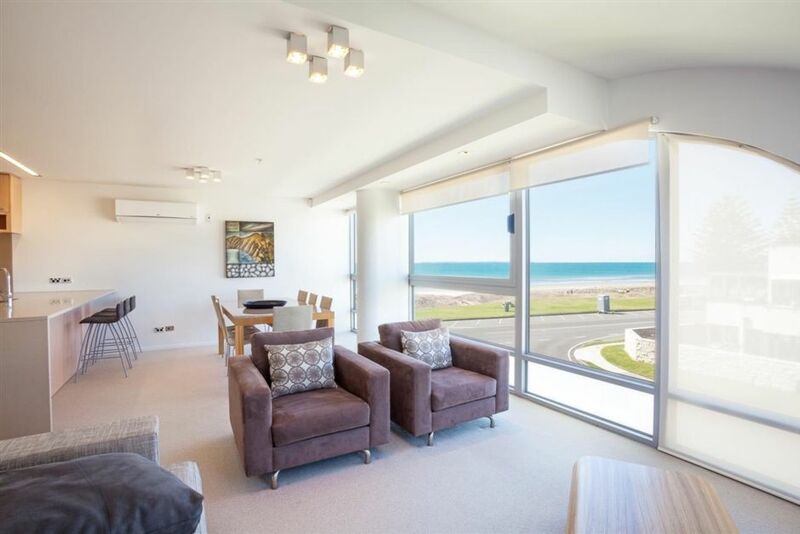 Set apart by a prestigious 'just one of two' penthouse position in this boutique apartment complex, the ocean panorama view coupled with the epitome of understated class in design and furnishing, leads the way in beachfront holiday accommodation. The beachfront easterly aspect captures the magical views, while the Mount CBD central location ensures that you are only a short walk away from some of the best cafes, bars, restaurants and shops in the country. The Mount is world famous for having the surf beach and the inner harbour of Pilot Bay approximately within a five minute walk from each other. This means you can play in the surf one minute and then walk across to Pilot Bay for a leisurely swim. On top of this the hot pools and base track for the Mount are a short walk along the beachfront boardwalk. One secure car space beneath the complex is available with an electronic access key. Had a lovely weekend experience at Mt Maunganui with the family. Property was well presented, clean and in a great location. Just meters from the beach and 5 mins walk to the town centre. Will definitely recommend this place! Beautiful views, easy access to beach and short walk to cafes and restaurants in CBD make this the perfect place for a beach holiday. The unit was well furnished with everything we needed for our stay. Wonderful apartment would love to stay again. Couldn’t recommend this place more if I tried!! The owners were lovely and very accommodating. Great location, great views and huge apartment. very good, lovely view, close to everything. Amazing spacious tidy apartment right opposite the sea. We loved our stay in this apartment! It was so close to town and directly opposite the beach. We didn’t even need to take the car out! So spacious and lovely and clean. It had everything we needed. Such incredible views. The apartment owners were so friendly and helpful. Thank you for allowing us to stay in your bach!